Versatile darts trophy suitable for both mens and women's darts awards. 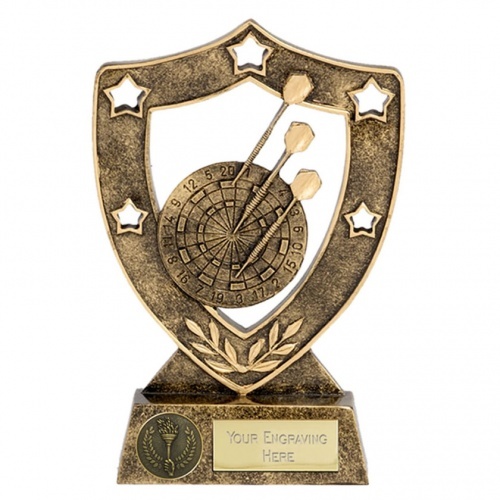 Crafted in resin with a bronze and gold colour finish, these trophies feature a shield design with stars and laurel leaf decoration and a darts with board motif, set on a base with engraving plaque. Available in two sizes - perfect for darts winner and runner-up prizes - and offered with engraving options.